From multi-million-dollar corporate deals, to new Canadian regulations for edibles coming later this year, to new product launches occurring weekly, the promise and excitement of cannabis- infused beverages is everywhere. Two big problems – today’s cannabis-infused drinks look and taste terrible. And they may be unsafe. When extracted from cannabis or hemp using conventional methods, cannabinoids like THC and CBD are fat soluble. What this means is they do not dissolve in water. When you try to mix cannabinoids into a beverage medium like water or juice, they will naturally separate. Anyone who has picked up a bottle of oil & vinegar salad dressing will know what this looks like, which is why it is called the “Salad Dressing Effect”. Cannabis beverage manufacturers have tried to address the Salad Dressing Effect in three ways: (1) by letting the drink naturally separate and inviting users to shake the bottle to mix it; (2) by using common emulsifiers and surfactants to create “water compatible” cannabinoids; or (3) using Nano emulsifications to create “water compatible” cannabinoids. All three of these techniques are limited in their viability if the goal is to create a cannabis beverage that can compete with alcohol. The limitations and drinkability of salad dressing-like beverages is self-evident, so there is no need to explain that further. Common emulsifiers are better than salad dressing beverages because, by using emulsifiers and surfactants, manufacturers can delay the separation of the cannabinoids from the water medium. But it is not indefinite – most emulsifications only providing a short-lived stability for days or a few weeks. And commonly used emulsification techniques will always result in a beverage that is cloudy (due to the size of the emulsification agent) and will eventually separate. Visually, this is less than palatable and emulsification can exacerbate the unpredictability of onset time and experience with the cannabis because the cannabinoids are not always uniformly suspended in the beverage. Nanotechnologies and nano emulsification techniques address some of the limitations of common emulsifiers, in that they can produce beverages that are largely transparent and delay the Salad Dressing Effect for much longer. However, using nanotechnology creates a whole new host of health issues, such as DNA damage, cytotoxicity and immune system response. In other words, there is a good reason that most food manufacturing companies are still not using nanotechnologies in food. Beyond the basic manufacturing challenges caused by the fat-soluble nature of cannabinoids, the other big challenge with creating primetime-worthy cannabis beverages is the unpredictability of onset and experience of cannabinoids. Due to their conventional molecular nature, most cannabinoids need to be processed by the liver in order to deliver the psychoactive or therapeutic effect. Unlike alcohol, which is more easily absorbed, this is why it can take between 45 minutes to 2 hours to feel the effect of a cannabis edible or beverage. This is also why you hear the horror stories of many people’s first experience with cannabis edibles – they take a single dose, do not feel any effect and take a second or third dose. And then all of the psychoactive effects kick and they end up getting way too high. The final hurdle in creating cannabis beverages that can compete with alcohol is addressing the taste of cannabinoids. If you’ve ever tasted cannabis oil or cannabis beverages, you’ll notice that they taste very much like they smell. Grassy. Earthy. Pungent. To date, most manufacturers have tried to address this issue in one of two ways: (1) use only cannabinoid distillates, which mean you only get THC or CBD and not the full “entourage effect” of cannabis; or (2) covering the flavour with sugars, additives and other taste enhancers. As evidenced by the current state of the cannabis beverage industry, these two approaches are not satisfactorily addressing the issue. For the above reasons, it is refreshing to see two leaders in the sector — Tilray and AB InBev — acknowledge that much work needs to be done to research these issues. It’s the same reason I joined Trait Biosciences as part of the executive management team and board of directors earlier this year. Trait’s Distilled technology — developed by a global team of scientists that have been awarded multiple Bill & Melinda Gates Foundation grants, and have held senior scientific posts with the US government — uses a naturally-occurring process to convert cannabinoids into a water-soluble form. This process (called glycosylation) involves attaching a simple sugar molecule to the cannabinoid and results in THC and CBD that do not require nanoparticles, emulsifiers or surfactants to uniformly distribute into a beverage. Furthermore, because they are water soluble, Trait’s Distilled cannabinoids will be metabolized earlier and as a result have a much earlier onset and predictable experience than conventional cannabinoids. The cannabis beverage industry is emerging as a global phenomenon and will reach hundreds of millions of customers. It is vital that the industry invests in the science and technology to make cannabis beverages not only enjoyable for consumers but — more importantly — safe. 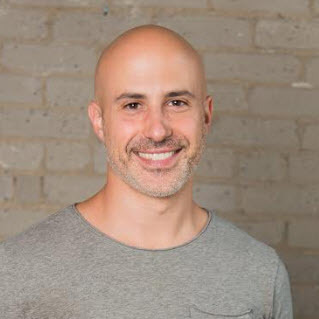 Currently serving as the Chief Strategy Officer of Trait Biosciences, Ronan Levy is a co-founder of Grassfed Ventures Inc., a private equity and advisory firm focused on the cannabis and biotechnology industries. Prior to joining Trait, Ronan served as Senior Vice President, Business and Corporate Affairs at Aurora Cannabis Inc., which he joined after Aurora acquired CanvasRx Inc. in 2016, a company Ronan co-founded. Ronan also serves on the Board of Directors of Province Brands.